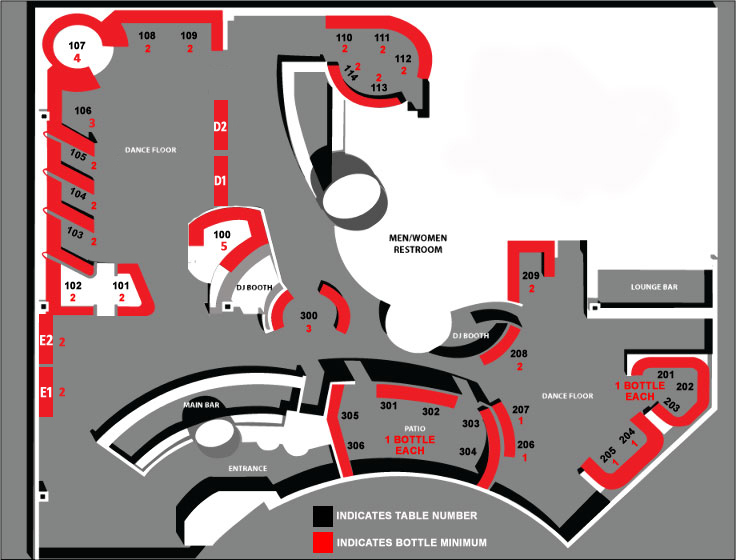 How much is table service at Heat Ultra Lounge? On Thursdays, bottles are $100 off. On Fridays Heat Ultra Lounge often has a buy one get one half off offer. 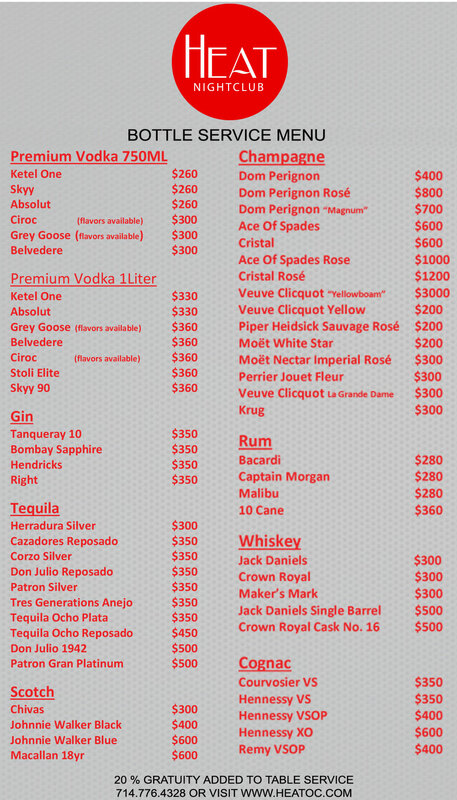 On normal nights bottles start at $260. You can get 5 people in with each bottle. Some tables require 2 bottle mins. Contact us below and we can get a custom quote for your party! Which is the best table at Heat Ultra Lounge? The owner’s table is the best table in the house – 1500 min, comes with 5 bottles and 25 comps.